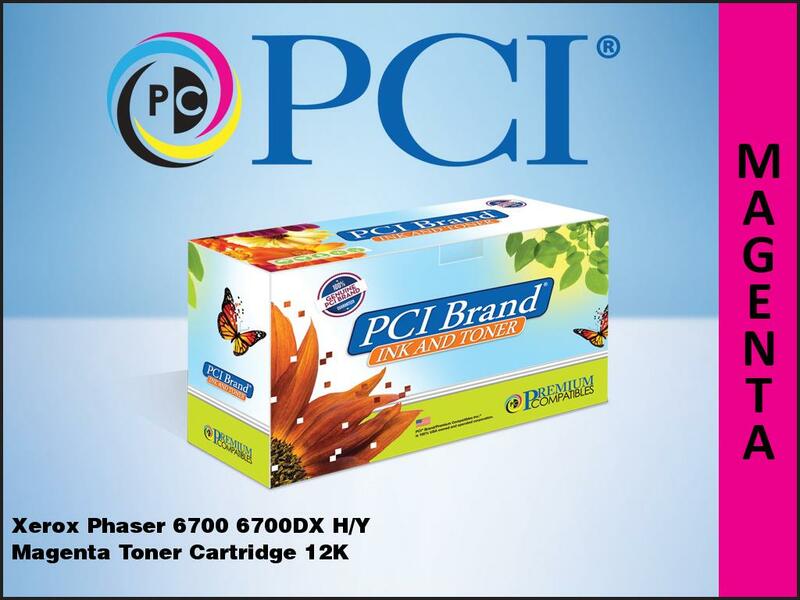 PCI Brand® Xerox 6700 CMYK Toner Cartridge Bundle Replacement - Premium Compatibles, Inc. This PCI Xerox 6700 CMYK Toner Cartridge Bundle is backed by our Premium Promise™ 1 year Factory Direct Warranty and is Guaranteed to perform equal to or better than its OEM counterpart. Enter your email address below to receive discounts, deals, and updates. We never spam!